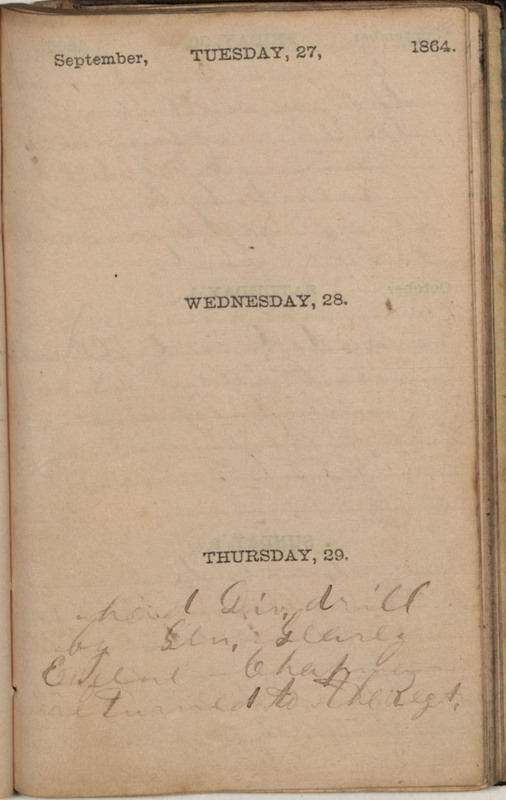 September, TUESDAY, 27, 1864 (no entry) WEDNESDAY, 28. (no entry) THURSDAY, 29. had Div. drill by Gen. Gearey Eugene Chapman returned to the Regt.